Daniel Craig’s wife, Rachel Weisz, turns 46 today! This timeless beauty has many acclaimed movie credits up her sleeve and is married to the reigning James Bond. Rachel Weisz is now 46, but you’d never guess it! The actress proves age is just a number as she celebrates her birthday today (March 7). She made her mark in Hollywood and on the British and Italian film scene as not only an effortless beauty, but one of the most acclaimed actresses in the world! 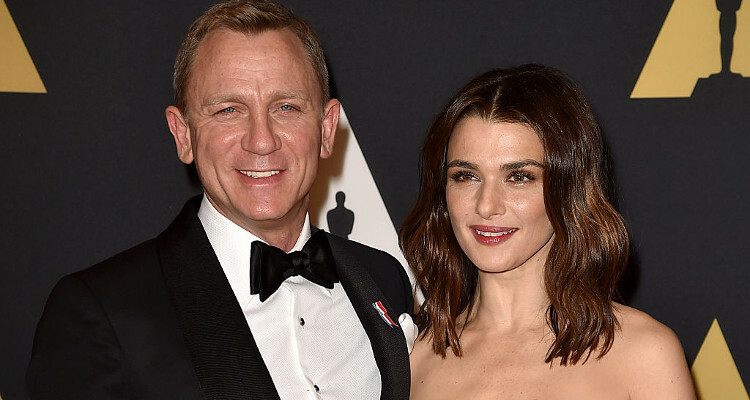 Though we don’t see them display their affections in pubic, Weisz and her husband, Daniel Craig are #Co￼upleGoals. The only way we can celebrate this illustrious beauty’s birthday is by compiling Rachel Weisz’s wiki. Read on to learn about her net worth, movies, and family, and also some interesting facts about the birthday gal herself! Weisz’s mother, Edith Ruth, was a teacher-turned-psychotherapist from Austria. Weisz is Austrian Jewish, Viennese and Italian from her mother’s side. Her mother and her family escaped to England before the outbreak of World War II in 1938 to escape the Nazis. Weisz’s father, George Weisz, was a mechanical engineer and inventor from Hungary. Being Jewish, he also escaped to the U.K. before the war. Her parents met in England and married. A few years later, Weisz was born in Westminster, London. Weisz is most famous for her role in The Mummy franchise alongside Brendon Fraser. Her other critically-acclaimed roles were in Enemy At the Gates, About a Boy, Constantine, and The Constant Gardener. For her role in The Constant Gardener she won a Golden Globe, SAG Award, and an Oscar. With her many film, television, and theater jobs, this British actress has earned a net worth of $30.0 million. And she has many of the U.K.’s most prestigious acting awards. Nicknamed the “English Rose” after her role in Stealing Beauty, Weisz debuted as a model at the age of 14. It would be hard to believe that this fashion icon grew up as a tomboy. After her parents’ divorce, she was working on acquiring an English degree when modeling and acting offers came her way. She got a bit of local press when she turned down the offer to work in King David with Richard Gere. Weisz is now one of the most talented and versatile British actresses in the world who is the ambassador for L’Oreal. In her college days, she appeared in student productions and co-founded the drama group, Cambridge Talking Tongues. She made her professional theater debut with the 1994 revival of Design for Living, which won her the London Critics’ Circle Award for the most promising newcomer. She also starred in Tennessee Williams’ Suddenly, Last Summer and the 2009 revival of A Streetcar Named Desire. The Lovely Bones actress attended the premiere educational establishments in London. She left North London Collegiate School and attended Benenden School for Girls. She then completed A-Levels at St. Paul’s Girls School. She went on to study in Cambridge, where she graduated with a second-class honours, upper division Bachelor of Arts degree in English from Trinity Hall. Despite her privileged education, Weisz claims she was a “bad student” in her youth. At Trinity Hall, she was a contemporary of Sacha Baron Cohen, Alexander Armstrong, Sue Perkins, Mel Giedroyc, Richard Osman, and Ben Miller. She briefly dated Miller, a director and comedian. She went on to date many men which earned her title “Trinity Hall Heartbreaker.” She claims she failed to heed her stepmother’s advice to not switch men like she switches roles between movies. This heartbreaker dated filmmaker Darren Aronofsky in 2001. They met backstage at the theater where Weisz was performing in The Shape of Things. Soon after they were engaged, they welcomed their son Henry Aronofsky, in 2006. However, the couple separated in 2010, but remain on good terms and raise Henry together. After separating from Aronofsky, Weisz began dating her friend and Dream House costar, Daniel Craig. They married in 2011 in a private ceremony with only four guests in attendance. Two of the guests included Rachel Weisz’s son and Craig’s daughter, Ella. Weisz and Craig are always arm-in-arm at movie premieres, but the couple keep their relationship details private while also keeping their children out of the spotlight. As the founder of the Cambridge Talking Tongues, Weisz has a talent in improvisation. The Talking Tongues won the Guardian Student Drama Award at the Edinburgh Festival Fringe for an improvised piece, Slight Possession. While filming The Constant Gardener, the actors were allowed to improvise a few bits. Many directors don’t allow this freedom, so Weisz went to town with the opportunity. Weisz has a thing for the supernatural, so she was very excited to act in Aronofsky’s fantasy sci-fi about death and eternal life, The Fountain. “…I’m just drawn to magical, supernatural things,” she said in an interview. She also took inspiration from her mother, a psychoanalyst, for her role in the psychological thriller, 360 which is also set in her mother’s hometown of Vienna. This ageless stunner is not for artificial beauty and wants botox banned. “It should be banned for actors, as steroids are for sportsmen,” Weisz said, “Acting is all about expression; why would you want to iron out a frown?” Looking at her now, we know Rachel Weisz won’t ever need botox.